You will eventually have to play as a jungler – As I’ve said in the other role guides, it will eventually happen. Better to learn it soon and be fairly decent then be crap because you’ve never tried it. And you should learn to be fairly decent at it because it is the 2nd most unforgiving role (the first being support) due to laners complaining about no ganks or missing smite. Hunter’s Machete – An item that lets a champion deal additional bonus damage to monsters with basic attacks. Spirit of the Ancient Golem – An item that gives the champion health, health and mana regen, cooldown and tenacity. In addition it lets a champion deal additional bonus damage to monsters with basic attacks. Spirit of the Elder Lizard – An item that gives the champion attack damage, health and mana regen, cooldown, and burn damage over a short period with basic attacks and spells. In addition it lets a champion deal additional bonus damage to monsters with basic attacks. Spirit of the Spectral Wraith – An item that gives the champion ability power, mana regen, cooldown, and spell vamp. In addition it lets a champion deal additional bonus damage to monsters with basic attacks and reduces that cooldown on Smite. Wriggle’s Lantern – Gives the champion armor, attack damage, life steal, and the ability to place a regular ward that will go on cooldown for 3 minutes. In addition it lets a champion deal additional bonus damage to monsters with basic attacks. Mercury Threads – Gives the champion magic resist, movement speed and tenacity. Liandry’s Torment – An item that gives the champion ability power, health, magic penetration and does extra damage over time for a short duration on an enemy champion that you cast a spell on. 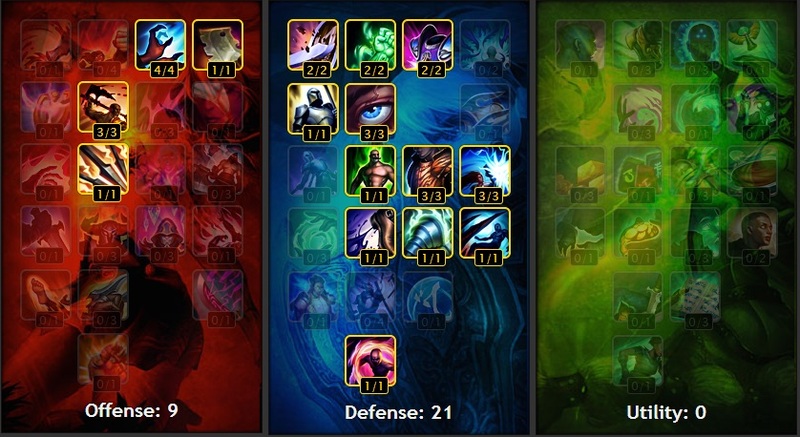 Summoner Skills are pretty much are Flash and Smite to stay safe and secure buffs. Sometimes I’ll use Ghost instead of Flash. 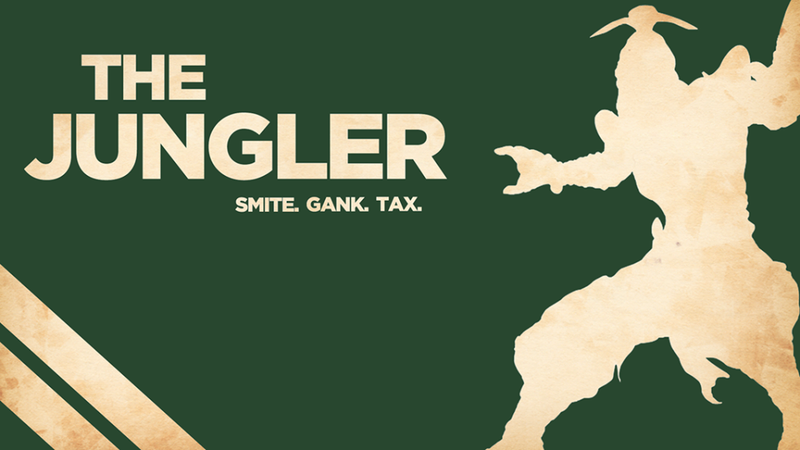 Also, the jungler should always, and I mean ALWAYS have Smite. 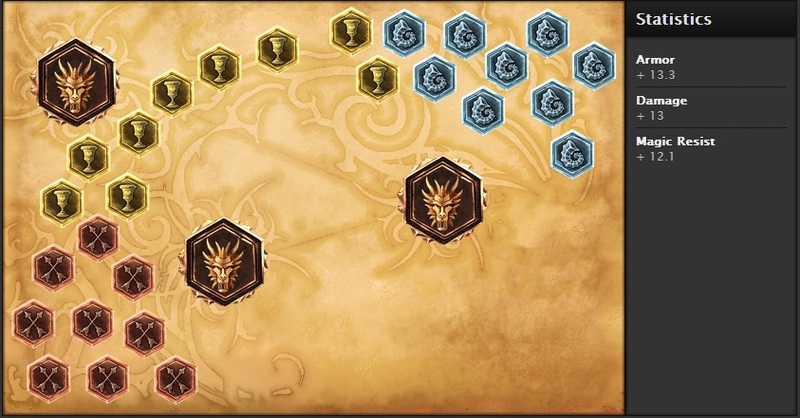 It is essentially your job to secure buffs especially Dragon and Baron. You don’t want to be the one your team gets pissed at because they lost Baron because you didn’t have Smite. 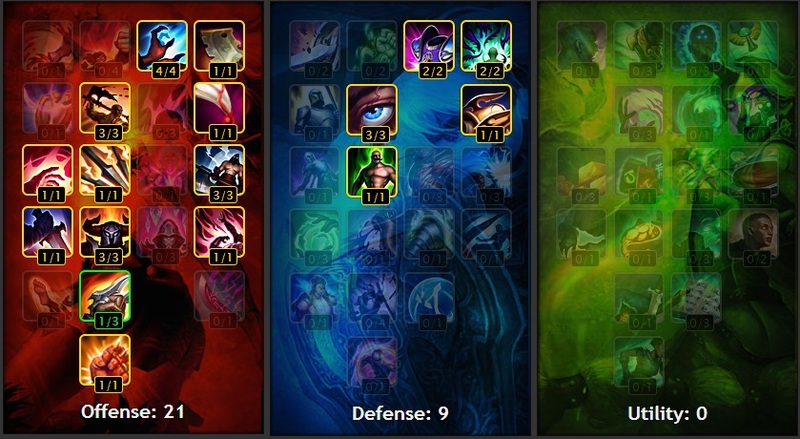 Ok there are quite a few setups for jungling depending on a champions base movement speed and damage but here’s 3 setups I usually use. 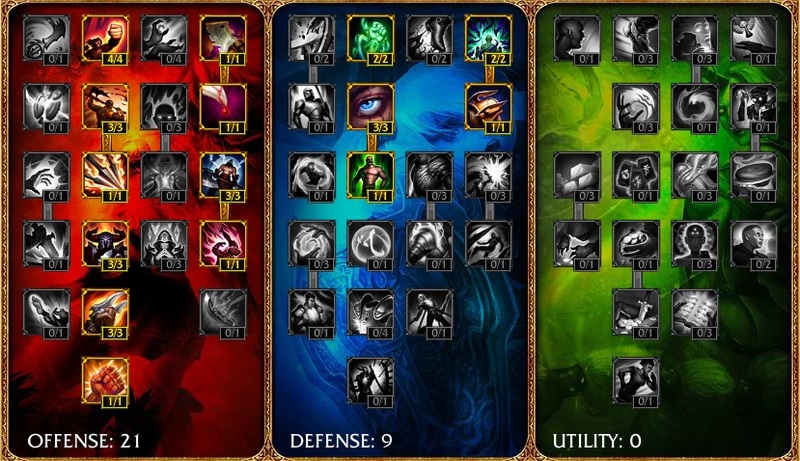 Feel free to use those as a base in order to make your own Jungler setups that you feel comfortable with. 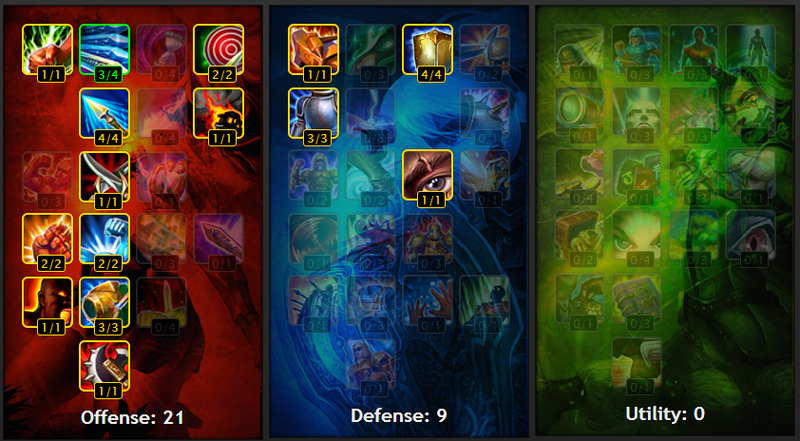 Masteries come into 3 different parts which I’ll cover in a bit. 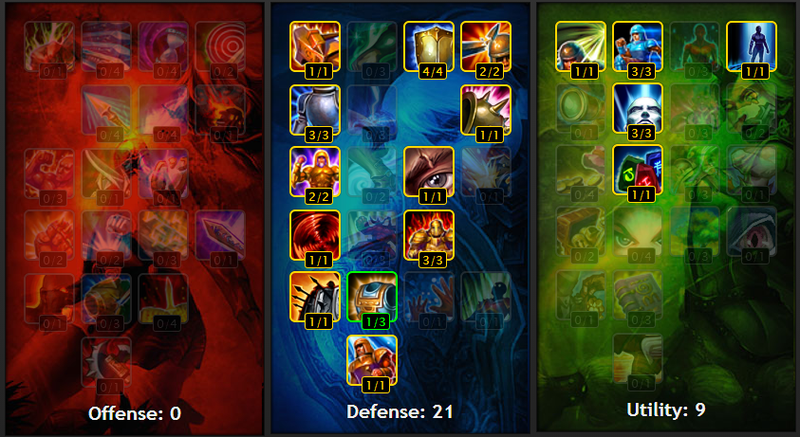 Note that all 3 masteries have the Summoner’s Resolve (top left in defense tree). Also, I take more armor than magic resist in the defense tree to mitigate damage while taking damage from monsters in the jungle camps. 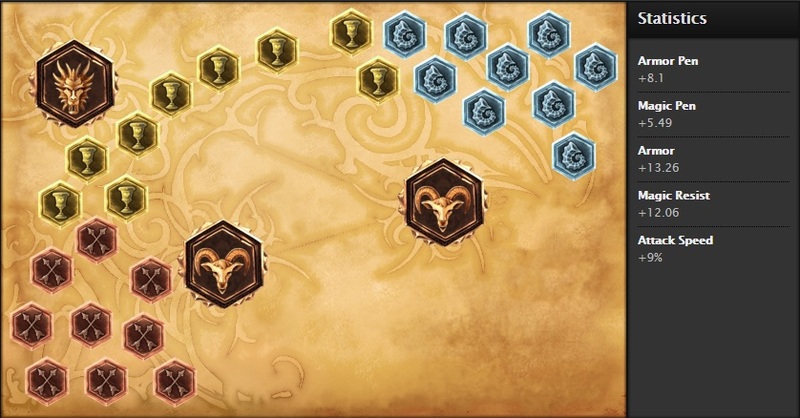 For my runes it could vary depending on the champion but I pretty much use Flat Armor Seals and Scaling Magic Resist Glyphs to mitigate damage and Flat Attack Damage Marks and Quintessences for damage. 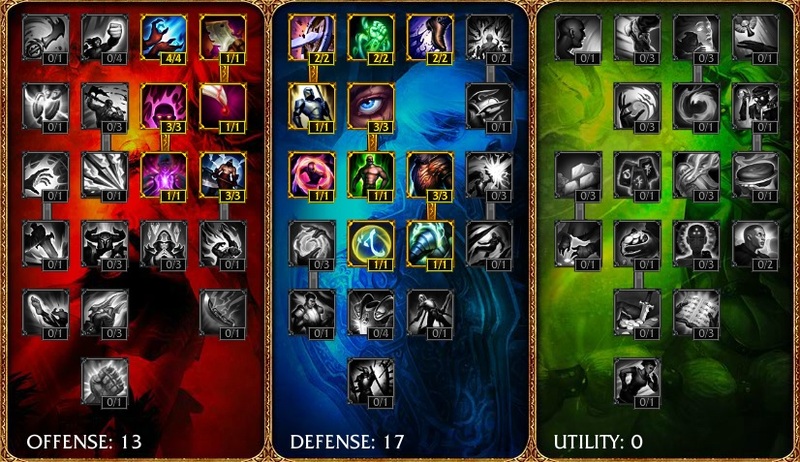 Sometimes I might swap the marks out for Flat Armor Penetration ones or the Quintessences for Movement Speed or Life Steal ones if I need them. The first of the masteries is the Tank Masteries which are 0/21/9 focusing on massive defense, movement speed and buff duration. Pretty much a tank for the team. For clearing camps, usually (if there’s no Level 1 invasions), you’ll want to start at Ancient Golem for a good supply of mana and work your way through the camps up to Double Golems. Clear other camps as they come up. You should be earliest around level 4 to gank however there are some champions that could pull off level 2 ganks. If you’re on a manaless champion, starting at Elder Lizard would be a better option because you’re not mana dependent. 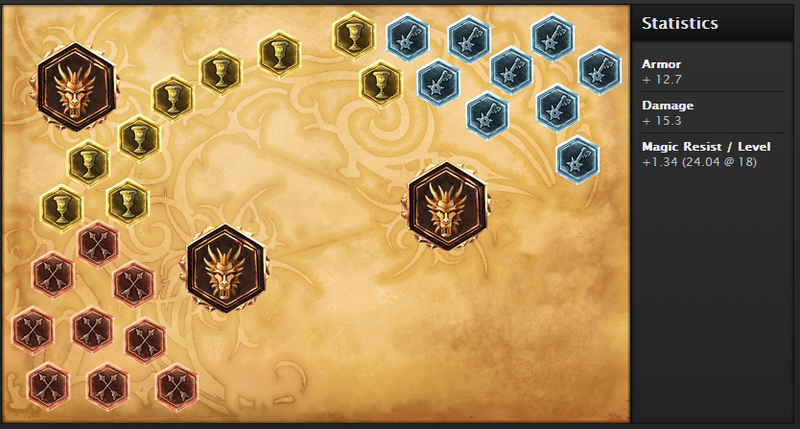 Around the 7 – 10 minute mark is usually a good time for Dragon, be sure to have your Smite skill ready. Usually you’d want to gank bot to make sure the bot lane doesn’t interfere with you getting dragon. It is also why most junglers tend to camp bottom lane in the early phase of the game; to protect the dragon. 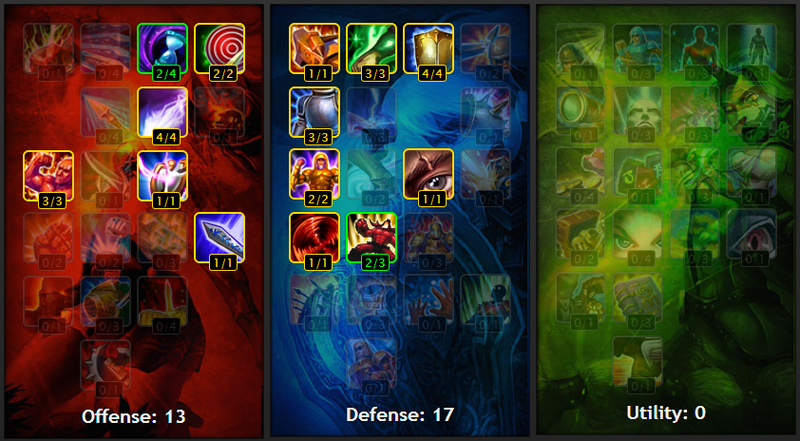 Try to visually analyse the DPS that’s going down on the Dragon / Baron and check the damage your Smite does (Smite’s damage increases per level). When the Dragon/Baron gets to or less than that health immediately smite to secure the Dragon/Baron. Getting it just right takes practice and you could accidentally pre-smite and miss so you could practice smiting Dragon/Baron in bot matches. At some point in the game you should gank. However there are good times and bad times to gank. Essentially you want to dive and get out alive. If there’s a chance of you or your laner dying, don’t do it. When the jungler dies, it relieves a lot of pressure for the enemy laners because they know you, the jungler, the one who comes out of nowhere to ruin their day, is dead. So they have free reign on your lane for a little while which could lead to one of your towers dying. You can practice jungling and ganking in bot matches to help you get use to it. 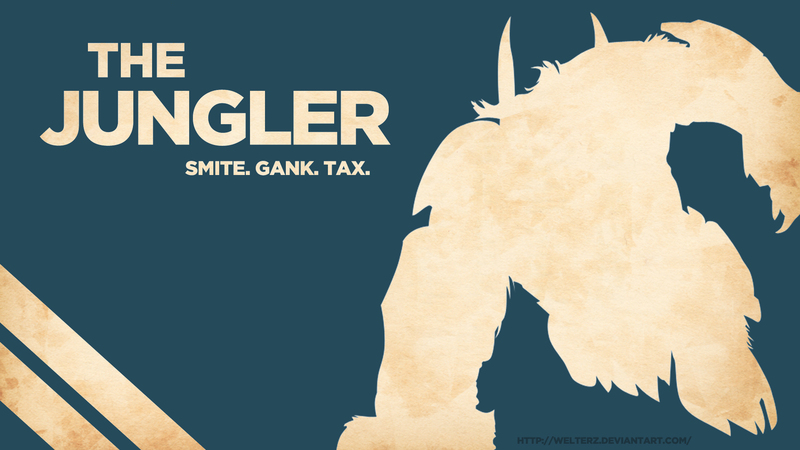 When you gank a lane successfully (aka kill the enemy laner), there’s this thing called minion tax. 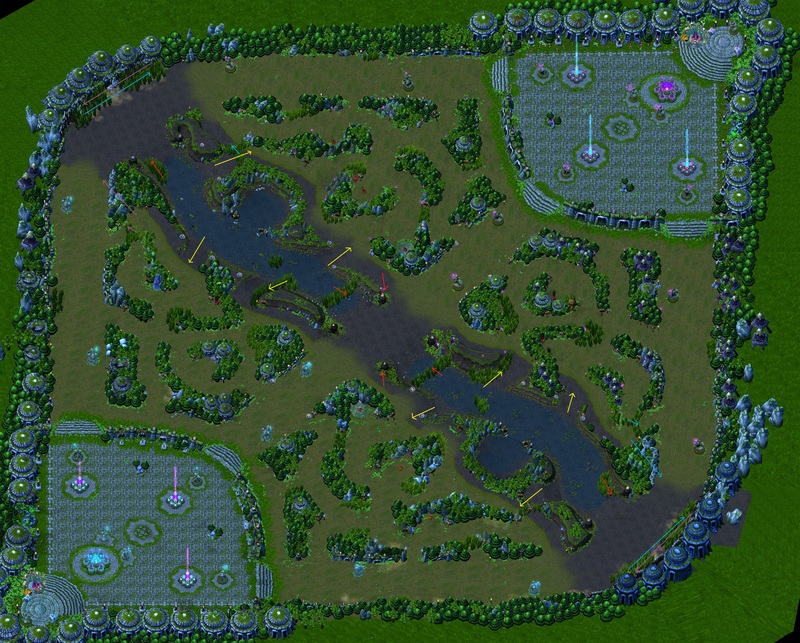 This is where you take a few minions that are around from the laner in order to “pay” for the gank. In other words, you are taking some minions in order to keep up in farming since you have to move and position yourself for the gank and you may have to wait in a brush to make the gank happen. You don’t take an entire minion wave, just a few minions then get back into the jungle. However, you can take a wave if the lane is empty of champions. 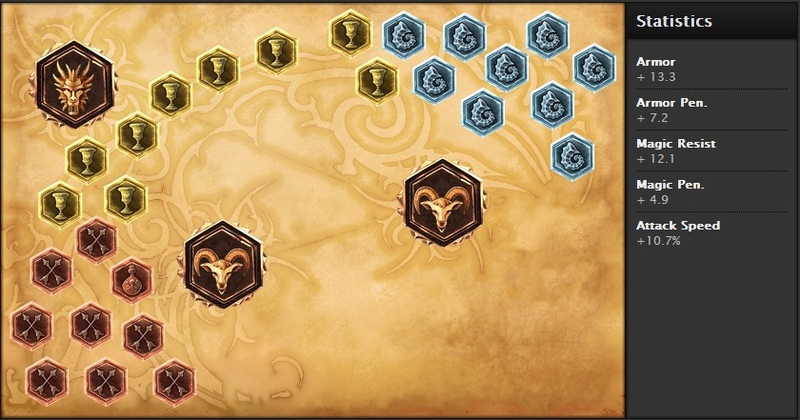 These gank routes are meant to have the element of surprise (unless the area is warded) and a way to close the gap so that you can CC and or damage the enemy laner. 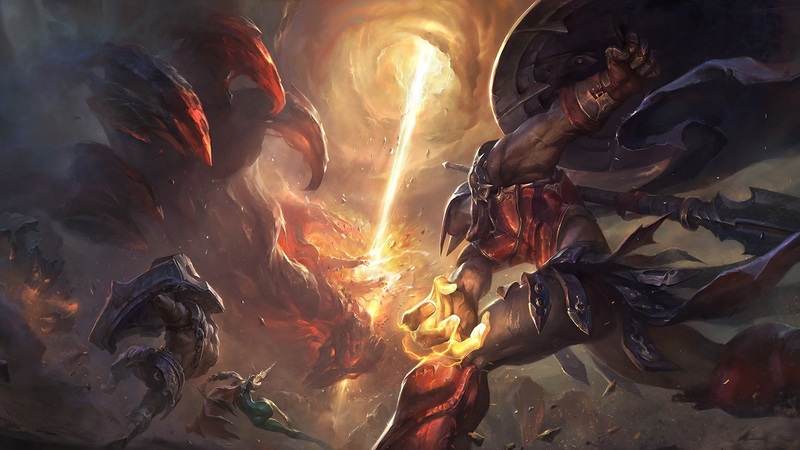 So it should result into the enemy laner at the very minimum taking damage, decent gank if their summoner skills (ex Flash) were used to escape. Of course if you kill them it’s great. 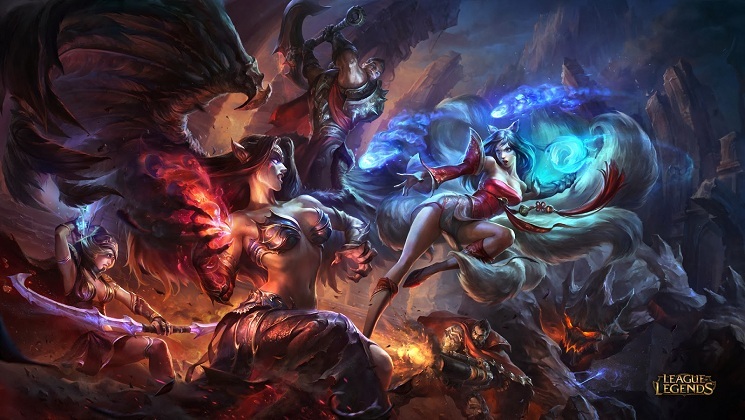 If they used summoner skills in either case it means that they’re vulnerable for another gank a bit later that will probably result in a kill. 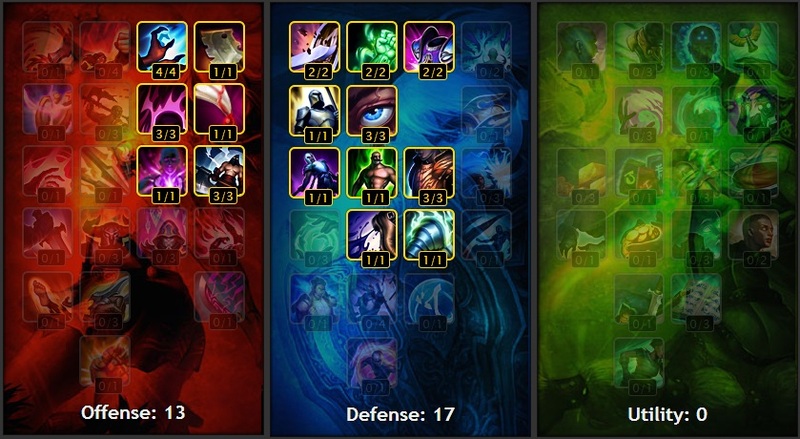 Note that Flash has a cooldown of 5 minutes or 4:45 if they have the Flash cooldown mastery, so you may want to consider ganking that lane again in the next 4 minutes. The yellow arrows are the invasion routes. Basically you invade and retreat from and to the river. Try to be quick if you’re stealing blue/red buff and you don’t know where the jungler is. 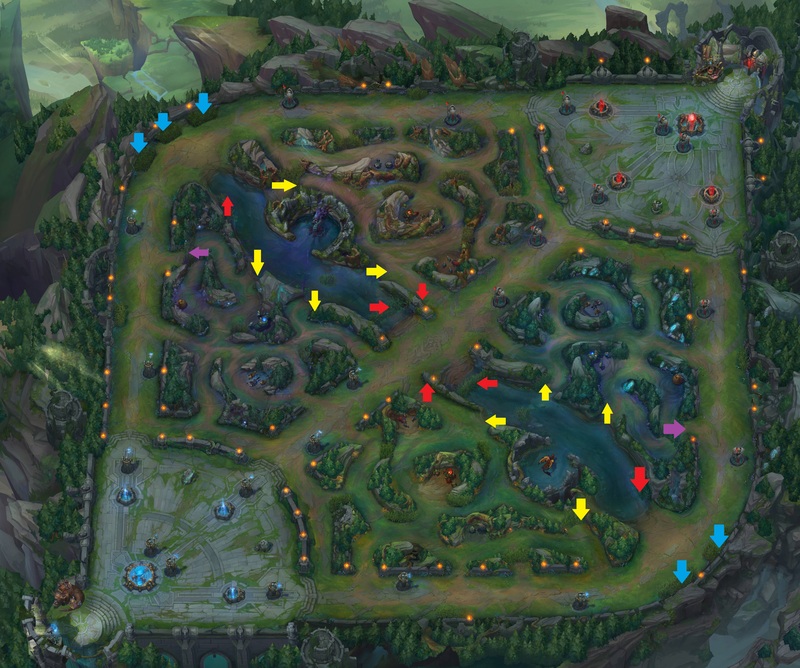 Again, invade when all your lanes are doing well, can steal buffs or some camp minions quickly, or if you can 2v1 with an ally in the jungle. 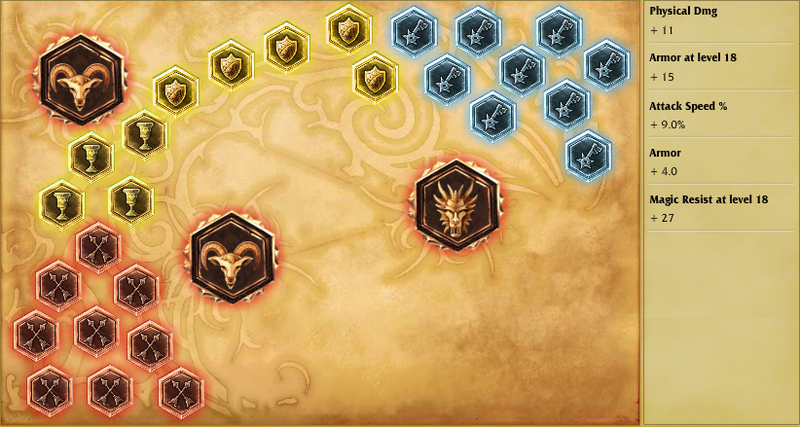 So those are the general guidelines on how to play as a Jungler. 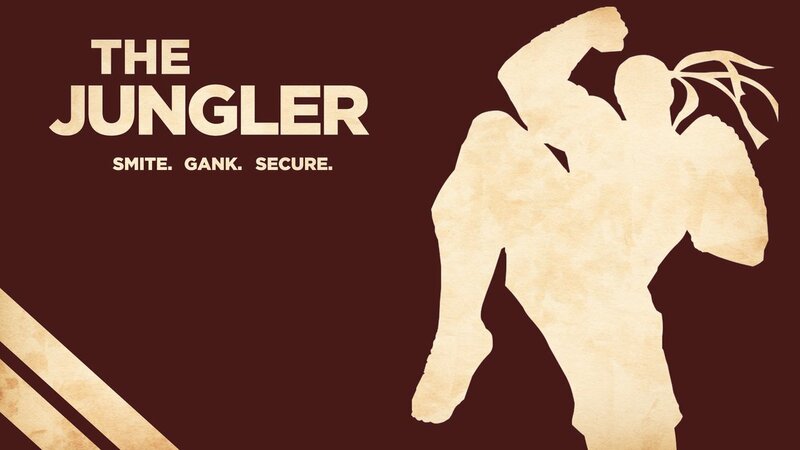 Essentially you can be a tanky jungler or a carry jungler. Keeping buff safe and securing objective are your main goals. Of course, if an enemy lane is getting out of had, you gotta go show em who’s boss. As always, feel free to comment below or hit me up on twitter if you have anything to say about the guide. Have fun on the Fields of Justice!